My father was surprised that I stole an hour a day for a week, from noon to one, from the lovely French summer to watch the FINA swimming competition on tv. I surprise myself to be trudging through Snow at the end of August, when we are all (except for those in Dubai) holding so tight to summer days, squeezing the last carefree days of the season. Instead, I am reading a depressing and langorous novel by Orhan Pamuk entitled Snow. It was the French translation I found at the bookstore; My Name is Red wasn't available there. I pledged to read another Pamuk, but in French translation this time, just to escape the overtly pretentious use of English translation of his lighter Museum of Innocence. While I can guess that the French is better adjusted to the novel (I will never know lest I revert to the very difficult study of Turkish), I do know for the fact that I am not reading a light love story like Museum of Innocence, but rather a profound and symbolic novel about Turkey and its multifaceted issues. The narrative is extremely slow. It develops in intricate and repetitive detail. It is always snowing and everyone in this snowed-down village is always watching a tv set (most probably a black and white one, thus adding to the colorless scenes). 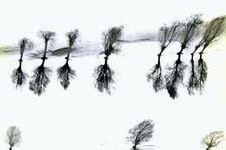 I trample in the snow with the poet-protagonist, influenced by the lethargy of the villagers, who bore me in their monotony. His style is deliberately anthropological and documentary style and I cannot grip to the story. I don't want to enter the undescribed landscapes. 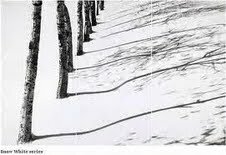 In this novel, its not about detailed landscapes, but about the general vision of snow as an element, covering everything, endlessly. Things do occur, amplified. A murder. A furitive kiss. A clandestine political conversation. Awfully violent reunions. Endless debate about religion and culture. The Islamic veil is debated in a so-called secular nation, where it was discouraged or even at one time forbidden. And the snow covers, symbolically, like the veil. Does Pamuk not approach God in the Pantheist manner of Rousseau or Voltaire? Does he not see God in the beauty and power of Snow? Pamuk philosophies and debates delicate issues. I wish the cover of the book had been a snowscape by Abbas Kiorostami. 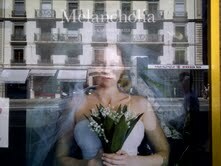 Those photographs convey the imagery and poetry of Orhan Pamuk. He is an intellectual from the Middle East, as we have few. I must grant him the study and respect for his contribution to our imagination. However, and based on two novels I have read by him, I often wonder why Pamuk has to explain and exhibit "the Turkish elements" to a foreign readership, rather than have us and his Turkish readers discover them in a less obvious way. I must read the remaining three quarters of the book. I didn't say it was going to be easy. Nor did I expect it to be fun. 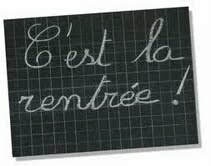 My brother always celebrates his birthday at the very special time and date that the French call La Rentree des Classes. LaRentree is first and foremost a marketing time for France, when the store windows fill up with stationary and school bags and reminders of Back To School. No one celebrates the end of August like the French do. The shoe stores show the boots, the children stores present the woolen sweaters and coats. Children walk the streets and are constantly reminded: you have 2 weeks left which is as short as a Christmas holiday. How do the last two weeks of vacation feel, when you have enjoyed two entire months? My children have finally loosened up, found their vacation routine, gathered their vacation memories and the bells of LaRentree keep ringing. Carefree summer has ended. Everyone talks about the new school grade they are entering, wonders how they will organize themselves, how they will get back in the swing of things. I remember forgetting how to "write" and hold a pen! But French educated kids have ways of remaining afloat with summer activity books, reminding them of the principles of grammar and mathematics! So the end of August, what I call the Age of Virgo, is spent squeezing the last opportunities, doing everything just one more time, playing till twilight! Those who are born in this period of time are, excuse my generalizations "bon vivants", that is they enjoy life at its fullest, are gourmets and appreciate beautiful things. They are artsy fartsy and enjoy reading and discussions. They represent this eleventh hour, before all the hard work begins again. I have heard adults this summer moan the end of the season, dreading the challenges of autumn. And they don't have to go to school! No matter how scholastic I am, no matter how much I enjoyed school for the most part and college/university, I always felt the pinch of nostalgia as August ended. Every late August, the Circus comes to town, as a last consolation, a last celebration before summer's end. We bought tickets on the 30 August, in celebration of Dai Croco's Bday. He certainly would have come with us and I think his son would have enjoyed it for the first time too! Our mom woke us up early to take us on a day trip on the train to Basel. For the sake of Art, again and again. This trip she had saved for last, the best show at the Beyeler Foundation: Richard Serra and Brancusi. She apparently even offered another very famous steel sculptor to meet us there, but he was to busy with his own exposition in the gardens of Versailles! I could tell my mom was very eager to see the sculptures. She did recruit my cousin's uncle: I know that is a brain twister of an expression, I call him Dai (uncle in Farsi) myself, to make things less complicated. He came from Zurich, us from Geneva. The gardens of the Foundation weren't as busy as they normally are. 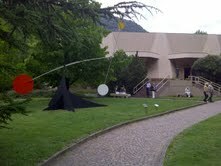 It is the end of August, after all and maybe everyone else had the opportunity to see it, since June and the Basel fair. When Dai, the uncle of my cousin, went to buy his ticket, his Swiss German took longer than a simple purchase. My mom interrupted: "we aren't monday, are we?" As she felt there was a hitch. Even I know museums are closed on Mondays. "No, he interpreted for us, the show ended Sunday." My mother did lament. We had traveled 3 hours for this and we had another 3 hours to go back. But it wasn't the trip. She knows how much my sister and I love the kids' wagon, with playmates and a small slide. We can actually play hide and go seek. 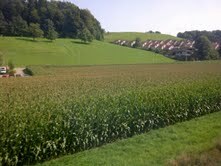 And my mom enjoys the NorthWestern Swiss countryside from the window. Here we were on picture perfect late August day, 4 days too late, in front of Renzo Piano's stunning architectural feat: a museum of light, surrounded by its garden. I suggested:" well, maybe we can see the Monets and Van Goghs". At age 5, these were the top names on my list, along with Bernar Venet for sculpture. My mom, who admits she had only seen Richard Serra sculptures in pictures, brushed her disappointment aside and agreed with me: there is the permanent collection! She is such a "permanent collection fan" anyway: she even wrote a blog about it! 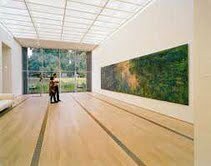 We had eight rooms to visit and in those eight luminous rooms starred a very large triptych by Monet's water lilies (which I could also see outside in the garden from the window, how cool!). A room with 5 Cezanne's including a portrait of his stern wife Madame Cezanne. A room full of women, all signed by Picasso: one of them was a huge sculpture of Jacqueline's head, a portrait of a woman with a horse's head, a woman crying, an unfinished Picasso as well. The room my sister and I liked had a luscious Douanier Rousseau jungle, with a lion devouring an antelope and in the background, camouflaged in its polka-dot fur, a leopard. We also stopped in front of 4 Mondrians because I just learned how to use a ruler and I was amazed at all the rectangles he painted and colored in primary colors. In that same room, were two Kandinskys and my mom told me, the future DJ, that I could almost close my eyes and listen to the music emanating from the canvases. My mom seemed enamored with the Giacomettis. She told us they looked like Egyptian mommies, and made us stand and walk like them. These sculptors almost made her forget Richard Serra. 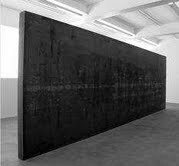 Lucky for her, they forgot to remove a large steel wall: it was a Richard Serra and my mom studied it well. A wall of steel. There is no doubt that she will always pay special attention to the expiry date on museum shows. We have learned our lesson and I must say, I may retain 10% of what I saw today, unless she plans on making the pieces of this permanent collection, a reason for seasonal migration to Basel. Twenty two years ago, I was at Smith College (1989) and I was working towards a BA in LatinAmerican Literature. Watching Atame, a film by Almodovar, with his exclusive star, Antonio Banderas (who had played in four previous films of his, which I am not cool or old enough to have seen), seemed then as "good practice" for my Spanish language skills. My Almodovar love story started. In 1988 with Women on the Verge, which I also viewed in an independent movie house in Northampton, Massachusetts. But I claim to have discovered Banderas, way before mainstream Hollywood fans admired him in Zorro. Even Madonna had to wait a good ten years before he agreed to play with her in Evita. Banderas and Penelope Cruz are Pedro Almodovar's stars and in my opinion really excel in his movies only. 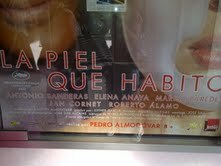 Who doesn't remember beautiful Penelope Cruz panting in a bus, as a pregnant nun (always seeking the absurd, Pedro!) about to deliver? Banderas is at his best again in the extraordinary release by Almodovar, La Piel que Habito. I read that his movies are developing differently. 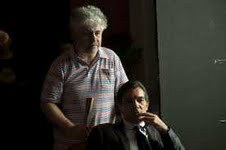 I don't think so unless the critics meant that Almodovar is always on the cutting edge and I regard that development as his signature. The same way Women on the Verge of a Nervous Breakdown was a fast past, constantly shocking, always alternative, almost quirky and surrealist film, so is La Piel que Habito. While we have seen Tarantino, more Woody Allen, Sophia Coppola and many other independent films like the Crying Game, nothing really is as off the wall and zanny as Pedro Almodovar's movies. I don't think I missed a single Almodovar movie since the Northampton single screen cinema house. In Cambridge, Massachusetts, I found an artsy multiplex to watch all the movies he played in the 90s. 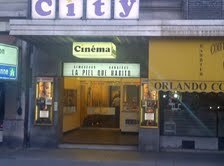 Then came the single screen cinema City in Geneva, where I see one almost every summer (after its presentation at the Cannes festival). I go with the same excitement and always, I encounter the same surrealist films: his cutting edge interpretations, his outrageous humor, his very colorful cinematography. I walk out dazzled! Each and every new film of his is a happening. 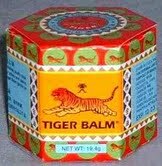 The instant my nose detects the faintest smell of tiger balm, I remember my beloved grand father. He had discovered it in Communist China, before the era of globalization. We can find it today at Carrefour! My grandfather was a physician. We used to go to him for the slightest ailments, the worse headache the painful sprains. 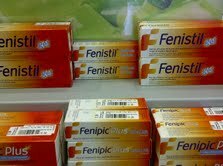 But I never remember him prescribing antibiotics. If he thought I was anemic, by looking at my lower eyelids, he would send me straight to the kitchen for some eggs (hence my disposition to protein diets!) He gave Vitamin E shots to family members who felt a dash less energetic. Pills, like mysterious elixirs were cut in half and pressed in our mouths with a goblet of luke warm tea or ice cold water (from a straw) by his bedside. I once came to him with a severe neck ache. He asked me to sit on the floor, next to his chair. And he took the all too familiar tiger balm out, rubbed a generous amount on the painful side and I was miraculously cured with a good neck rub. We all have creams we believe to be miracle creams. My mother-in-law swears by Vaseline for any ailment, diaper rash, aching feet, cuts and burns. My mother's favorite cream is a lotion she finds on Swiss Airlines. It serves as an eye make-up remover, hand cream or mosquito balm. My father always carries a tiny tube of antibiotic cream, called Theramycin. We end up knocking at his hotel door when we need first-aid care and he takes it out of his shaving kit, where he stores band-aids, IBProfen, nail clippers and a Swiss knife. As a mother of three, I have my own favorite remedy creams. Finistil for mosquito, especially the ferocious Mediterranean ones (the Swiss ones pale in comparison). I now buy my sister her own tube for the summer, because I had the whole extended family, without exaggeration, sharing a single tube in summer in France. 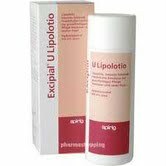 My all year round cream is Excipial, a very rich Swiss cream that the pediatrician recommended for my daughter upon birth. Any time my kids complain about a dermatological itch, I rub some Excipial and its good as new. Its scent is very pleasant. But its not nearly as recognizable as the Tiger Balm scent my grandfather carried in his pockets. I have read many articles and interviews by Lionel Shriver. She has written a dozen novels and is a prolific journalist. From that stance, she is one of those writers who talks about her books openly, who willingly interprets it with her readers. She wrote an afterword to We Need to Talk About Kevin where she raises questions about the events in the book, the reasons etc. This rarely happens with writers or even film makers. They create their story and then retreat. They evade questions in interviews or answer vaguely. This can be said of the enigmatic Jonathan Franzen. I got many book reviews by literary critics, I read some interviews, but Franzen didn't "afterword" his novels, nor did he answer questions. In the same vein, I thought knowing a writer personally would get me answers, if not "official ones", at least "off the record". When I finished Atiq Rahimi's Patience Stone and his latest Damned Dostoeivski, I scrambled to send him all my thoughts in emails entitled: "I began reading", "I have reached the middle" and "I just finished reading". None of my questions got answered in the reply emails or even in person. Rahimi told me that those questions weren't meant to be answered by him, that he wasn't the protagonist, that he didn't have the answers. In her Afterword and interviews, Shriver doesn't answer the "nature or nurture" question which is the essential one, but like a professor in a literature class, she discusses it, almost in a Socratic way, as she does other aspects of the novel. Evidently, she enjoys the discussions. One issue she mentioned was the Anti-Americanism of her protagonist. She states that she herself has lived abroad for most of her life and that has given her critical distance with the USA. She therefore designs Eva as a "traveler" who writes guide books, so that she can express her own critical distance as well. Remember that the book was written in 2003 and its events occur in 2001, during the G.W.Bush years. Many American intellectuals were disillusioned by his foreign policy and it was rather difficult being American abroad at the time. Therefore she created Eva, as a self criticizing American, always eager to travel to get away from it all, verbalizing her preference for Europe. The husband, Franklin, on the other hand, is patriotic, especially from his approach to things, his culture and lifestyle. However, I would like to append, and if I could reach Lionel Shriver, I would tell her this: Eva Khatchadourian is a typical American woman. She epitomizes the American woman of the new century who is empowered in her home and family setting, in a style that can simply and exclusively be qualified as American. Eva's attitude towards her career, her feeling of independence bordering on selfishness, which allowed her to leave her husband and later her family for travel, her approach to family dynamics are culturally American, in the same way Jumpha Lahiri's women, even after they have emigrated to the USA, are culturally Indian. Moreover, what I identified from the beginning, whether it was Franklin (the husband) or Eva, was their American way of parenting: the father is always indulgent with his son, always excusing him, always reaching for the ideal frizbee-baseball tossing relationship. The mother, who is critical of the American lifestyle, indulges herself in self fulfilling prophecies, that are based on presumptions that children have adult-like motivations and aren't as innocent as they appear. Why does she over-interpret things? If her baby didn't take to the breast, then she thinks he rejected her. His toilet training problems meant he was waging war against her. This approach to child-rearing comes from a liberal over-analytical stance. Her "Americanism" was to overthink the whole condition of motherhood, to make it sound like yet another "choice" from the whole array of "freedoms" that is offered to each and every. This mentality is opposed to the fatalist mentality that makes you a mother, more "naturally", without really thinking about it, and of assuming the parental responsibilities with more enthusiasm, if not nonchalance, once it occurs. I have never wondered about the parents of criminals before this book, but I have frequently seen punks and adolescents sporting tatoos and piercings and wondered how they fit in the family dynamics: how their parents allowed them to wear a pink mohawk in the first place. It is all a question of authority and obedience. I think the "over indulgent"Franklin, the "self prophecizing" and hands off approach to parenting of Eva and the fact they disagreed about child rearing led to the development of Kevin. الحصان مريض وقال الطبيب البيطري للمزارع : إذا لم يتعافى في ثلاثة أيام ، يجب قتله. في اليوم الثاني قال له انهض بسرعة ! 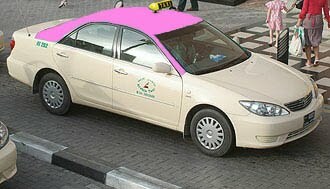 لكن الحصان لايقدر أبدا . Vet told the farmer your horse is sick. If he doesn't get better in three days you'll have to kill it. 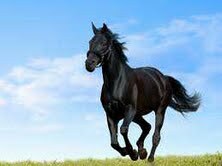 So he told the horse get up. But the horse was too tired. Second day he told the horse get up quick. Still the horse couldn't get up. 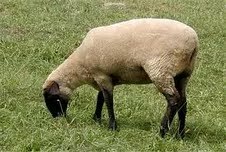 The third day the sheep went to the horse and told him get up or they will kill you. The horse got up. The farmer was so happy he said we'll celebrate, prepare the sheep. 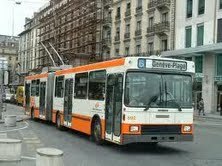 Bus 2 and 6, winter or summer, will post GENEVE PLAGE above their large Volvo or Mercedes windshield. It lends a merrier feel to the otherwise winter cold dreary public transport ride. I used to take Bus2 to boarding school in the opposite direction and never knew the joyful summer feel of a ride to the outdoor swimming pool of Geneva. The only pool that I can personally compare to this one is the Monaco Port. Exceptional case here, the Monaco and Geneva addresses don't carry an ounce of pretension. When I step in either, I walk into 1950s socialism. You would think larger than life Eastern European champions swim in these pools where the bluest water contrasts strongly with the all-cement. Everything is cement from the entrance, the uncomfortable bleachers, the outdoor shower stalls, the cafe and the lockers. This is a socialist public pool system that relies on very strict obedience of rules: every activity has its section, be it swimming laps, playing, diving. And the hygiene is clinical. The changing rooms reek of bleach and there is no escaping the freezing foot bath before entering the pool premises. But Geneve Plage is much more charming because a vaster complex than the understandibly narrow area given to the Olympic size pool in Monaco. Its a question of ratio! 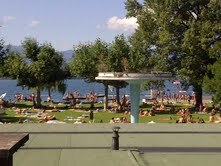 Geneve Plage is always overcrowded on a sunny summer day. You are welcomed by a brouhaha of juvenile laughter. The lap pools never, ever empty. I have swam laps with my son frequently, up to 3.5 kms the other time (a record). Swimmers keep their lanes like on a highway. I see some leave and more arrive. Non-stop. I quote Michael Phelps in Shanghai for the FINA: "I think with everything, with warm ups, warm downs, races it was 40,000 meters and it was a fairly intense week." I thought about him as I swam my 72 lengths and calculated that he swam an average of 6 kms a day or 120 lengths. My son and I swam more than half his distance once: we'll get there soon. 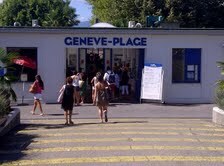 If it means going to Geneve Plage! As for the younger ones, I took them there for their birthday celebration for the first time. They marveled at the magic of it all: the large slide endlessly and for free, the proximity of the lake, the playground in the shade of the trees and the sight of the serious swimmers in the lap area. No wonder their mom and big brother came so frequently and stayed so long! The Bakughans, from last summer, are still played with this summer, these magnetic Japanese marbles that can suddenly bolt open and that my youngest carries in his pockets. But this year, my now turned 5 year old is obsessed with Lego. The way his brother loved Playmobil. One likes to build, the other likes to imagine. It is true that half the time of play with Playmobil characters is to get everything set up, to take them out of their storage box, to get their accessories set up, their environment prepared. Then the Playmobil men, women and children interact: at the supermarket, the postoffice, the airport, but also the Medieval castle, the Egyptian Pyramid and the Roman bath. Imagining all these little people from different eras and occupations live together is certainly magic! My youngest prefers Lego. Not that the eldest didn't either. But no one plays Lego in the family with the same passion as he does. 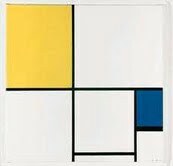 I remember playing Lego myself in the 70s, when Lego pieces were all simple, primary color rectangles, as if created by Mondrian. The basic structure to build was a house. After all, weren't Lego colorful bricks? We learned to build strong walls by linking them in the next row, as brick layers do. At the hight of the 70s and feminism, Lego was designed for both sexes. Boys and girls were builders and architects. 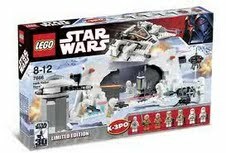 In this new century, with so called progress in the domain of toys, Lego has had a comeback with super-sophisticated designs based on Star-Wars, Pirates of the Carribean and a whole array of high tech robots. For boys only. My tom boy daughter hasn't even shown interest in it! Lego gifting has been the greatest reward for my youngest. He takes me to the super-market aisle, by the hand and pleads. Where are the days when I pushed him in the food cart and averted the toy aisle? Commercialism has dictated that these Lego boxes are for one time use only. They have a thousand minute pieces and a manual of detailed instructions. If left to his own devices, the child is bound to loose 10% percent of the pieces after successfully building it (that amounts to 1 piece): one piece missing and you cannot recreate the work of art. But most important is the manual of detailed instructions. If the manual gets lost, only a genius could build the model from the image on the box. The 1000 pieces are designed for the completion of that unique model. No place for creativity and whim. 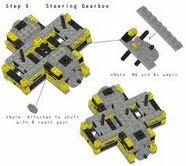 Sometimes, we can buy a 3 in 1 box, with a manual for the 3 models possible. 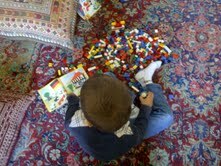 If my son had the choice between the bricks and the manual, I think he would choose the manual. It is the first thing he grabs when he opens the box. But God help us if he looses 10% of the pieces. 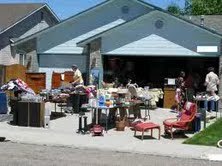 He will obsess about its recovery and solicit the help of all and everyone. We move couches, mattresses, lift carpets and cushions. I read books that my sister, brother, husband and good reader friends recommend. I read books that my husband brings back from airports or that my dad leaves as a gift by my bed stand. I have read books on long Classic lists that they publish at New Years or in a literature class syllabus. I most frequently will read a book whose review I find and liked in LeMonde Livres (the bi-weekly book section). I rarely read books that are recommended in fashion or glamor magazines. Books that are derived from movies. In this special case, in this very rare case, I did buy a book that was recommended in a fashion magazine. And this book is not derived from a movie, but like a John Irving book, has been adapted as a film that has won great acclaim, notably at Cannes this year. It is in vogue for fashion magazines to dedicate a page or perhaps two to a famous person, usually a glamorous and fashionable person who would display his/her taste about makeup, designers, scents, creams, shoes, favorite restaurants and sometimes his or her favorite books and music. Catch me reading the collage made for non other than Boy George! Yes, he was the one who recommended Lionel Shriver's "We need to talk about Kevin". Last time I listened to BoyGeorge, it was certainly malgres moi, as someone whose adolescence fell absurdly in the 1980s. Three decades later, curiosity and recognition of a ghost from the past made me read his list of favorite things. I was getting a manicure and it fit the futility of the moment. The reason he convinced me was for a single reason. He stated that his favorite book ever was Midnight's Children by Salman Rushdie, which happens to be one of my favorites. He then said that Let's talk about Kevin was a book that people kept recommending until he discovered it and was flabbergasted. If you juxtapose any book to Midnight's Children, you will get me to buy it and read it. I have now completed one fifth of Boy George's favorite book. It is a deep book, even though I started by dismissing it as such. It also happens to be written by a woman, who chose a man's pseudonym (as George Sand had). It turns out Boy George is an intellectual behind all that makeup, gloves and dreadlocks. Yes I know he has cut them since! His second favorite book has nothing light and happy to it. P.S: I googled Kate Moss after I read the introduction to the novel. There must be another Kate Moss out there, with wrinkles and a Phd, I thought. Could the model have been chosen to introduce the book? Well, it was recommended by Boy George! My older brother does me the biggest favor by sending me articles that he selects very carefully. He knows I am fanatic about leMonde and that I have the attention span of a biased reader: the topic has to be addressed to my interest and the style has to pass the test. He sent me an article from the Guardian that would have otherwise sounded banal: "There is Progress in Afghanistan even if the Afghans don't want to admit it." I gave it a chance and soon enjoyed the reading immensely. I thought the writer had wit and an inner understanding of the mentality. There was a small autobiographical reference where she mentions that she had lived in Afghanistan in the past. This lead me to believe that Nushin Arbabzadah is Afghan. But had she not mentioned it, I would have still known that only an Afghan has the references she has. Foreign experts, even SouthWest Asians, like Iranians and Pakistanis, cannot write about Afghanistan the way Arbabzadah does. They may know their facts, but as foreigners, like their Western colleagues, they are careful in their criticism, respectful in describing what they observe if they are good journalists or otherwise sensationalist if they are not. Native journalists and experts, of any SouthAsian country usually have too much pride to "wash their dirty laundry in public" and rarely, though unconsicously, criticize their own country. Here on the other hand, is a self deprecating journalist who is astonished at the attitude of her compatriots. Afghans have never "had it better" is what she says, almost using that straight foreword lingo, and they "dare complain" is how I would paraphrase her thesis sentence for that article. Her writing style is very AngloSaxon bordering on Americanized. I therefore guessed that she is a Westernized Afghan. She has been trained to think and express herself in a Western way, yet her knowledge of the subject matter is intimate and different from the Western expert on SouthAsia. I encountered another Westernized Third Worlder. A friend of my husband sent him an Economist article about an emerging talent in French literature: a native of Congo-Brazzaville. My husband, like my brother, knew that I would be interested, so I got the email eventually. I ran to the bookstore and have read Alain Mabanckou's novel Black Bazar in 2 days flat (granted its my Ramadan reading, I stay up late reading). His writing is very engaging, his style flows. I am not engrossed in the narrative as much as I am impressed with his language. He has mastered French to perfection, without sounding erudite. French is therefore his mother tongue. As for the Afghan journalist, I can tell that his soul is African, but his tool of expression, his sarcasm and self criticism is very French. A white Frenchman would not have been able to write about the cocktail of African emigres and how they interact in France in the same fashion. But an African intellectual, without his francostyle, would not have sounded the same either. I know there is a former generation of Indian writers who have written novels in perfect literary English. I have applauded Salman Rushdie and Jumpha Lahiri in this blog, but their voices are Indian down to their prouesse in English. Only Americanized Vikram Seth, and this applies only to his Golden Gate (Suitable Boy had an Indian voice) could fit in this group made of the Afghan Nushin Arbabzadah and the Congolese Alain Mabanckou. If there were a non charitable cause that I would support, without a doubt, it would be LeMonde. It is obvious that my life would not be the same without LeMonde and I hope I will always have access to it, no matter where I live. I was informed of the rumors of its bankruptcy and identified myself with the support by very wealthy Frenchmen, who came to the rescue of the bastion of French journalism and culture. It would be a crime for LeMonde to cease. The only way I can be considered to be a patron of LeMonde is by subscribing to its hard copy, at the price of gold in the UAE. In the summer, my father gets a summer deal, delivered at its cheapest rate: in France naturally. I am not a patron of LeMonde the way the Hahnloser couple were patrons of art. 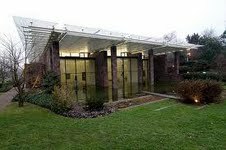 The Fondation Hermitage in Lausanne's program this summer is the Hahnloser collection (which resides permanently in an obscure Winterthur (even I wouldn't venture that far for art, it sounds like the Kingdom of Ice, Winter...). As I reached the museum, which perches in the hights of Lausanne, with three children in tow, I tried to explain the principle of patronage to children under the age of eleven. 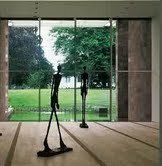 "These Swiss collectors have bought the finest artists. Van Gogh and Matisse and Cezanne. 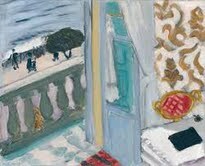 Bonnard and Renoir! Now we can see them in museums because they chose to share these beautiful paintings with the public." I am glad I insisted. 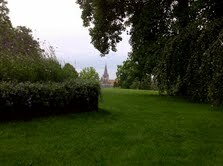 The train trip is pleasant and short, Lausanne is very charming and the collection we saw today was very rich. Of us all, I think he benefited the most. We walked through the small museum, and to the dismay of the gray haired visitors, I began my own private tour of the works. I asked questions which made the kids observe, remark and notice. 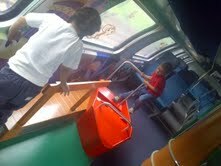 We talked about what we saw, what they were doing, what the painters were narrating. 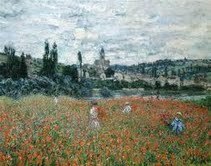 The eleven year old made observant remarks, the six year old concentrated on some paintings and the youngest nagged and nagged about going out to the garden to play. In honor of Roger Federer, who has taken the mantle of Andre Agassi, for the last 5 years, as one of the top sportsmen I admire, I have translated an article from a Swiss paper because I believe they know him intimately. This is not the stunning essay by David Foster Wallace, but it displays the same awe for the tennis player. "I love my sport, I love my country, I want to be an ambassador for both." July 2004. The sun shines on London this cool Monday early morning. In a white villa's garden, a young elegant man, jeans and khaki jacket, receives the journalists. His eyes shine, despite the fact that they are small: the champion had celebrated his victory till the wee hours, but he was on time for 7:30 am, after two hours of sleep, to tell his victory live on BBC, in an almost perfect English. All of Roger Federer is summed up in that moment of glory, in his answers, after the man from Basle just won for the second consecutive time the Wimbledon tournament, theater of his first exploits, garden of his dreams. The ease, the class, the immense ambition that always appears legitimate, without fanfare, an omnipresent pleasure. This man is a gift. This Monday, August 8, 2011, "Rodgeur" will celebrate his 30 year birthday. Most probably with Mirka, the love of his life, his twin daughters, Charlene Riva and Myla Rose, his parents, Lynette and Robert, maybe with a close circle of friends. With them, he can contemplate and smile at an incredible decade, since the regicide that saw him, as a daring adolescent with a pony tail, fight the grand Pete Sampras in five sets on the grass of Central Court, first of a long series of exploits. When, the crowd amazed by so much talent, saluted this Merlin with a racket, he felt "like champagne rise in his head". He accomplished his goal beyond the imaginable. Ten years after that founding final, Roger Federer is no longer the world's first in the ATP, but he has the potential of winning 17 Grand Slams, and his place in the history of the game and his art are appreciated by all. This longivity, destined to last till the Olympics, next year at Wimbledon, is part of his masterpiece, that took the sport beyond competitiveness [...]. While evolving, Roger Federer has remained faithful to himself. [...] He has been able to control his internal fury and dominate his torments. [...] He leads his career and thus his life, he controls his time, his image, his words. But under this protective varnish that preserves his humanity, it is the same player. The same positive soul that cracks up when he shoots an advertisement. Who builds a respectful friendship as well as a complex with his most formidable rival, the Spaniard Rafael Nadal, in a passionate ballet of ressemblances and differences.